Classic and refined, this boat combines the comfort and performance of larger boats in a compact space. With spacious sundeck in the front, side console equipped with a comfortable seat for two and large lounge at the back Barracuda 730 offers space and layout solutions typical for larger boats, much more than you would expect for 7 meters rib. It is made for families with kids or friends who simply want comfort, style and unrivaled performance. 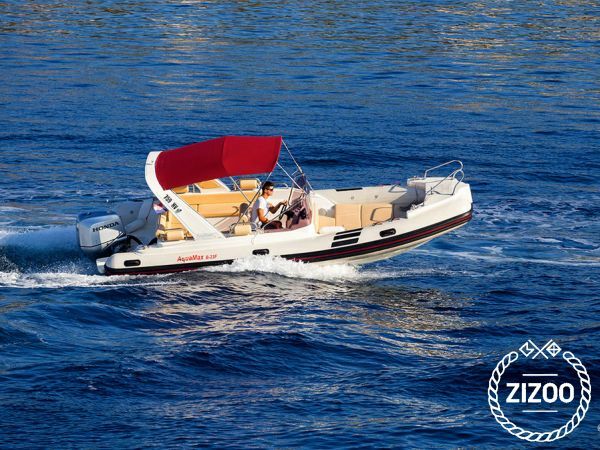 Thanks to its comfort and stability on the sea, Barracuda 730 is ideal boat for all-day trip. Imagine the beautiful view on the Croatian coast while you have warm, summer breeze in your hair and enjoying the sunset on the one of the islands which you can reach with this boat. Vis, Hvar or Brač, its your choice, but no matter where you go, you will have the best time. Also, boat is equipped with all the necessary coast guard approved safety equipment.